If you're not a fan of creepy-crawlies then you NEED to read the following...before it's too late! You might have noticed that recently it's been rather warm and wet. Because as delightful as the sunny evenings are, they unfortunately also mean the weather conditions are perfect for all manner of insects which invade our homes and gardens in the most unpleasant ways. Read more: Spiders Be Gone! This September Keep The Creepy Crawlies OUT Of Your House For Good! 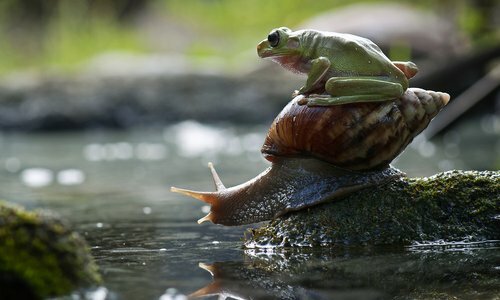 These slime-covered molluscs just love the warm, moisture in the air and they can lay wreckage to your garden! To keep them out of your plants, use slug pellets. To keep them out of your house however, place copper tape across your doorstep. Trust us - they hate it! 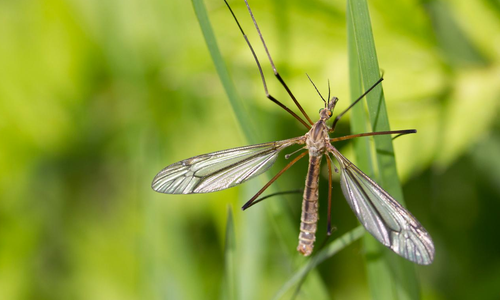 Better known as crane flies, these (rather horrible looking) flying creatures are set for an almighty comeback this Autumn. You have been warned. The bugs lay their eggs in the grass and then the larvae proceed to eat your entire lawn when they hatch. The grownups also have an nasty habit of flying in your house, face...you name it! Annoyingly there isn't a massive trick to keeping these guys at bay. We simply recommend making sure all windows are closed wherever possible. After the horror of the Zika virus, it seems that mosquitos have risen even higher up the world's list of 'most hated bugs'. More than a mere annoyance, bites from these critters can itch for weeks!